Yeah, Goldfishing this deck is pretty annoying when its premise hinges on what other people do. However, I am delighted to hear you're trying it out. Please keep us posted on your results!! But yeah, Pioneer is pretty bad. 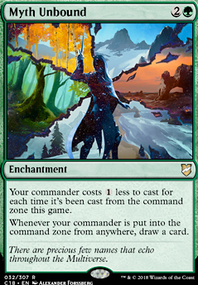 I just wanted to see what it would yield because any card that brings out a land would also remove Blighted Woodland from the deck, which I am working on getting rid of without closing a window. 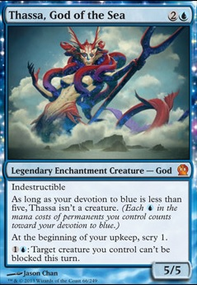 Let me know how Treefolk Harbinger works out, I used to have him in Yisan and he was great there. Let us know if you struggle in a particular match up and what was it that hurt you the most. LongRockSilver: Thanks for the comment! I agree, the deck does have tend to have very slow starts if you don't hit your elves or ramp spells, but that CAN be helpful, especially in casual games since you'll seem like a low threat to the table. 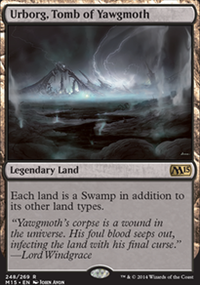 Adding in a Myriad Landscape or Blighted Woodland to the lands might help the ramp be a bit more consistent to get our Wort a bit faster. Ashen0ne on I am Groot! 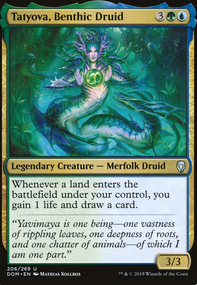 Elemental Bond and Soul of the Harvest might serve as strong card draw engines for you here since green is good at making big monsters. Runic Armasaur is also an option and pretty cheap since he’s under appreciated lol. 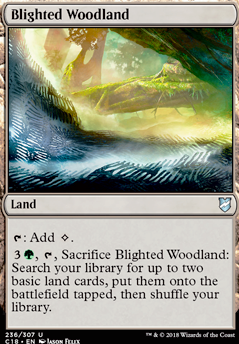 Blighted Woodland is one you could consider for further ramp and while some people might not like it Growing Rites of Itlimoc Flip would be pretty easy to flip in your deck I think. 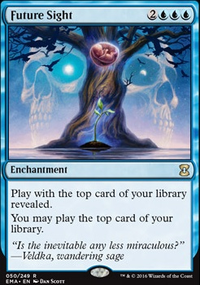 And if you play against a lot of blue or black deck Snake Pit is just a fun way to accumulate bodies while they play spells. Maybe even Evolutionary Leap to trade in those snakes for something more impactful. I think this list running Vitalize , Ravenous Slime , Scryb Ranger , Grafdigger's Cage , and Shimmer Myr would make it better. 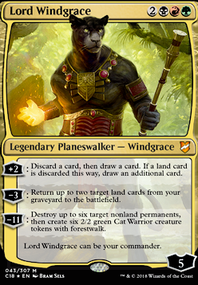 Maybe even Skullwinder , or with a different take on the landbase; Early Harvest . Question is what to drop... Skullclamp needs more than 15 creatures that would die with it IMO, and Umbral Mantle may be too slow at sorcery speed. I think it is worse than staff because it doesn't draw cards, but I may be wrong in that assessment. One or the other could get dropped I think. Growing Rites of Itlimoc Flip I think is too slow, but I'd need testing on that. Otherwise Blighted Woodland ? It doesn't seem like it belongs.